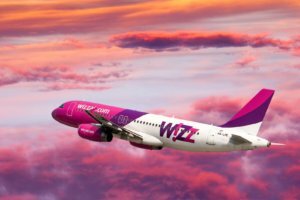 Hungary’s low cost airline Wizz Air is expanding its flight network from Kyiv, boosting the total number of destinations from 21 to 23. According to the booking system of the airline, the new flights are scheduled for Vienna, Berlin and Frankfurt on the Main, although WizzAir would not fly to Frankfurt-Hahn. Wizz Air Executive Vice President and Deputy Chief Executive Officer Stephen Jones said at a press conference in Kyiv on Friday that last year the airline carried around 30 million passengers, and in 2018 it plans to carry 35 million passengers using 100 planes. “Our fleet consists of 96 Airbus aircraft, the 100th will come in June this year. We have about 4,000 employees. We have 28 bases in 16 countries, and the next base will be opened in Vienna,” he said. With regard to Ukrainian flights, Stevens said that in Frankfurt the company will fly to the main airport, going from the Frankfurt-Hahn airport. According to the booking system, it is planned that flights to Frankfurt and Berlin (Schoenefeld) will be launched from July 1, and first two week will be made four times a week, and then on a daily basis. The flights to Vienna will start from the winter navigation schedule at the end of October and will be serviced daily. He recalled that the airline will expand the fleet in the base in Kyiv from two to three aircraft, which will add $100 of investment and create about 100 jobs in the crew and support staff. In March 2018, Kyiv International Airport named after Igor Sikorsky served 155,700 passengers, which was 56.6% more than in March 2017. The number of passengers served on international routes was 149,400 people, while those who flew on domestic routes numbered 6,300 people. 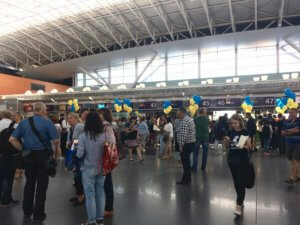 State-owned enterprise (SOE) Boryspil International Airport (Kyiv), the largest airport of the country, plans to service 12.55 million passengers in 2018, which is 19% more than in 2017, when 10.555 million people were serviced. This is outlined in a financial plan of the airport approved by the Cabinet of Ministers of Ukraine on April 11 and a copy of which has been sent to Interfax-Ukraine. According to the document, this year the airport seeks to boost passenger flow on international routes by 16.8%, to 11.31 million and on domestic routes – by 42.7%, to 1.24 million people. 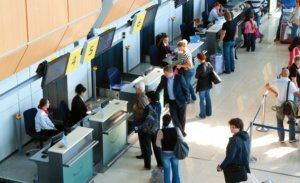 “The decrease in the airport fees in the Boryspil airport since June 2017 and the introduction of a program to stimulate growth in volumes by the number of carriers allow us to maintain high growth rates of passenger traffic,” the airport said in an explanatory note to its financial plan. In 2018, the Boryspil airport plans to serve 101,466 flights, which is 16% more than in 2017. The number of international flights is planned at 89,363 (17.6% more), domestic – 12,103 (5.4% more). 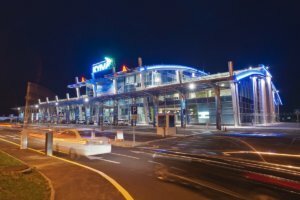 Kyiv authorities formally renamed international airport Zhuliany “Igor Sikorsky Kyiv International Airport”. The airport is widely known as ‘Zhuliany’ after the surrounding neighborhood of the same name. Igor Sikorsky was born in Kyiv. During World War I, he designed and constructed bombers for Russia’s military. After the communists came to power and threatened him and his family, Sikorsky emigrated to the USA. There, he gained renown for designing and manufacturing fixed wing aircraft and helicopters.